Romanian-born, English-educated American historian who was one of the world’s foremost interpreters of modern France and an authority on modern Europe. In addition to writing books, Weber was a popular lecturer, most famous for his public television series on the Western tradition. 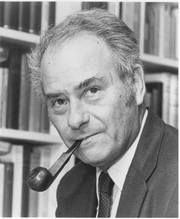 Eugen Weber is currently considered a "single author." If one or more works are by a distinct, homonymous authors, go ahead and split the author. Eugen Weber is composed of 8 names. You can examine and separate out names.